Psychedelic pop rock is coming back. Psychedelic atypical pop rock sounds are coming back. 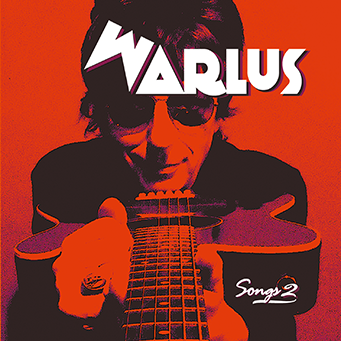 Walrus is like a planet who twists and turns around Richard Maubert a music composer, and multiinstrumentist. He grews up with the 1970s rock’roll music .Whith Pascal Ducourtioux, his frend for ever, they just autoproduced Warlus Songs 2. It’s a rainbow of psychedelic pop rock sounds to taste at twilight and nightfall. Over time, this couple became a collective composed of many artists like the drummer Farida Tadjene. This band is changing according to the different meetings and concerts. Discover his atypical and refreshing world. Here’re 7 sweet bitter songs between sun and rain. So listen to the poisonous Teapot Woman’s story and enter in the fabulous world where Lewis Caroll’s rabbit meets the Beatles’s walrus. Against a backdrop of good rock’n roll, this album invites you to touch “replay” ever and ever. And you will for sure recognize some things like Lou Reed’s voice, but not exactly !